Do I have a Google+™ Local/Google Places™ Page yet? You probably have a Google™ page already but chances are that you have not “claimed” it as your own yet. Your local Google™ business page has location and other information about your business. You can add pictures, cell and fax numbers, opening hours, payment types accepted and reviews from your customers. Your local Google business page can do wonders for getting you customers. Almost half of all google™ searches are based on location. More than half of all mobile searches are based on location. 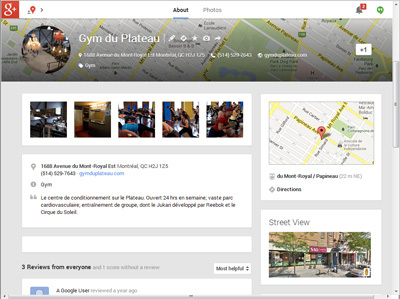 When the potential client searched, either the location was one of the terms he typed into the Google™ search box (gym in Western Montreal) or on his mobile phone, Google™ gave him results based on his current location (he searched for "gym" while in Western Montreal). So why is this so important for me? Where are they getting this information? They are searching on Google™ Maps on their iPhone or Android phones, most likely and the top results they are getting are from your Google+™ Local Info or Places page. You want them to have the most accurate and up-to-date information (like correct contact info and hours), all the right categories and products that people are likely to search for in your industry, and, it's really good to have some great pictures and reviews as well. That's to start, but there are other things you can do to increase your ranking, like adding the +1 button, sharing relevant content, blogging regularly about relevant topics to what you do and adding people to your circles. We've been in the Internet business for over 10 years. We can optimize your Google™ Places Small Business Page for search engines and smartphones. We can also set up your Facebook page with your unique business web address at Facebook.com™. Then your clients can find your business using Google Maps, share information about your business on social media and review your business or services. Business Pages Optimization Services from $39, no extra fees! 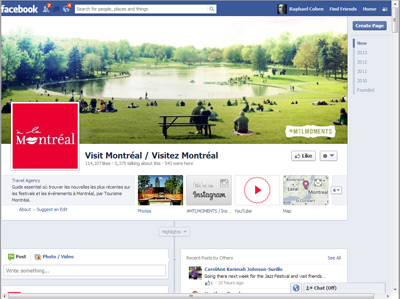 What are the benefits of having local pages for your business? AdSourcePro.com offers several plans below to suit your needs and budget.